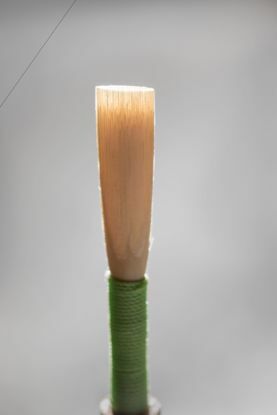 This is a professional hand-made American scrape reed, with a nice opening and an expertly contoured tip, producing a superb sound with a complex, rich tone. This reed has great response and very reliable intonation. The strength of this reed is Medium, and there is a limit of 3 per order. Please allow up to two weeks for your reeds to arrive. 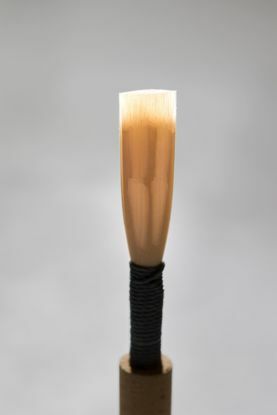 This is a professional hand-made American scrape reed. The heart and windows are well-defined, creating a superb tone, excellent pitch stability in all registers, and dependable response. Strength: Medium. 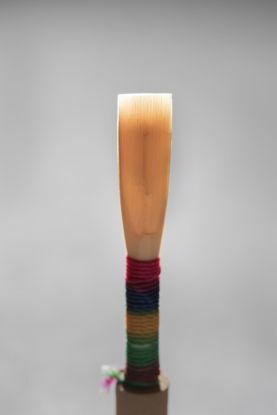 This is a professional hand-made American scrape Lucarelli-style reed, with clearly defined sections. This reed has a dark, woody tone, and is very flexible, with outstanding response and consistent pitch. Choose Medium or Medium Hard. 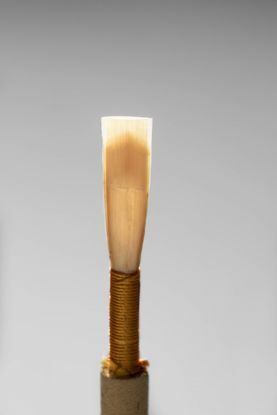 This is a professional hand-made American scrape reed, with a springy heart for flexibility, and a contoured tip. It features a vibrant, resonant tone, and a stable pitch with outstanding response in all registers. NEW! These reeds are very consistent, with a beautiful, complex tone and a steady pitch.